Do you believe in ghosts? If you don&apos;t, a visit to York County might change your mind. It&apos;s October, the time when ghosts, ghouls and witches wander, and we&apos;ve got an extensive supply of spooky sites that are perfect to visit for frightful Halloween fun. We&apos;ve pulled together a few of our favorite examples, most of them from Haunted Places in York County, Pennsylvania. It&apos;s an easy and fun historical read written by local physician Dr. Leo Motter. We should note these are just a small sampling of the ghost stories from around York County. Pick up Motter&apos;s book if you&apos;d like full details and even more scary stories. You can find the book at York Hospital, some shops in Downtown York shops or on Amazon. For now, read on, if you dare. 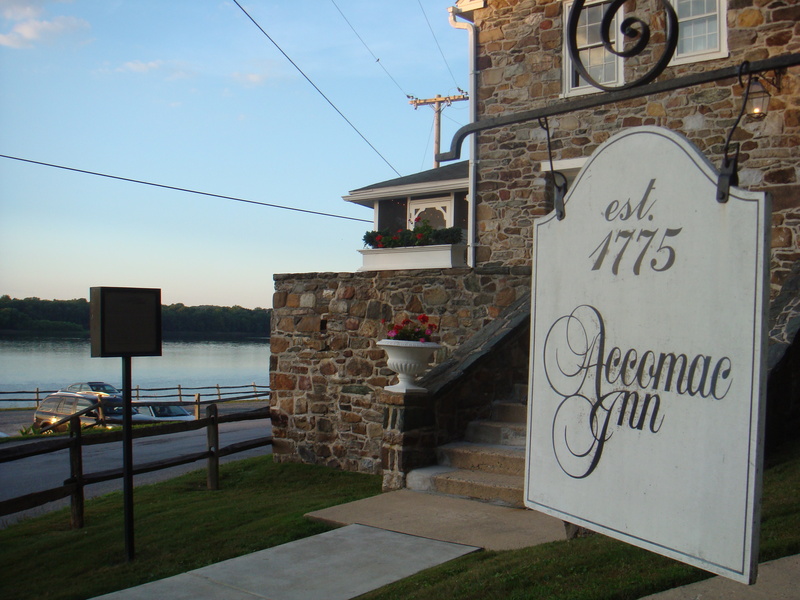 The Accomac&apos;s Inn&apos;s roots date back to the 1700s, when it was a prime spot to cross the Susquehanna River, and its rich history includes visits from Marquis de Lafayette. A Confederate soldier -perhaps a spy - is also buried on the property, the gravestone found along the road. These days, it&apos;s a superb fine-dining restaurant. With a seasonal menu boasting an herb-crusted rack of lamb, seared scallops and more delights made with locally sourced food, The Accomac Inn offers some of the finest cuisine in York County. 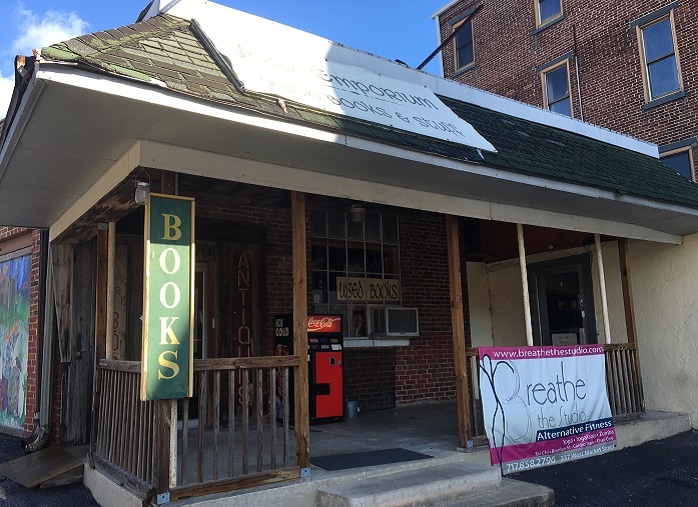 And if you dine there, you might be joined by the spirit of Emily Myers, a beautiful orphan who met a tragic fate after she began working at the Inn in the early 1880s, when it was still a busy ferry spot along the Susquehanna River. Motter tells the story in his book. Johnny Coyle, the Inn owner&apos;s son, loved Myers, but it was an unrequited love. When Emily refused to marry him, a lived Johnny shot her. He fled, but was apprehended and hanged for his crimes, his body buried on the Inn&apos;s property. More than 100 years after her untimely death, the sobbing ghost of Emily Myers has sometimes been spotted on the property. The spirit of a man has been spotted, too. Furniture moves inexplicably, and music plays in an empty room, Motter writes. There&apos;s a good chance these are just ghost stories, told around this time of year for fun. If you visit The Accomac Inn, you might not run into any spirits, but you&apos;re sure to have a great meal. Ghost stories aren&apos;t always terrifying. Sometimes, they&apos;re quirky and even funny. That&apos;s the case with the Imp of Clarke Alley, who was said to have scared passersby by turning into objects, like a vase or even a beer barrel that rolled after frightened pedestrians. "So many people reported seeing the Imp that a kind of game developed. Parties of half-drunk men would set out at night through the streets of downtown, trying to find (or better yet, catch) the Imp," Motter wrote, noting that one man even tried to shoot the Imp when it appeared as swirling darkness. It just vanished. After a while, the Imp just disappeared and hasn&apos;t been seen for decades. Yet, whenever something strange happens, Chris Clarke, the owner of the Sunrise Soap Company on the corner of the alley, said she attributes it to the playful poltergeist. "We always blame it on The Imp. The Imp or Jerry Garcia. There&apos;s always someone responsible besides us," Clarke said, laughing and joking that she wishes the Imp would sometimes help make some soap. 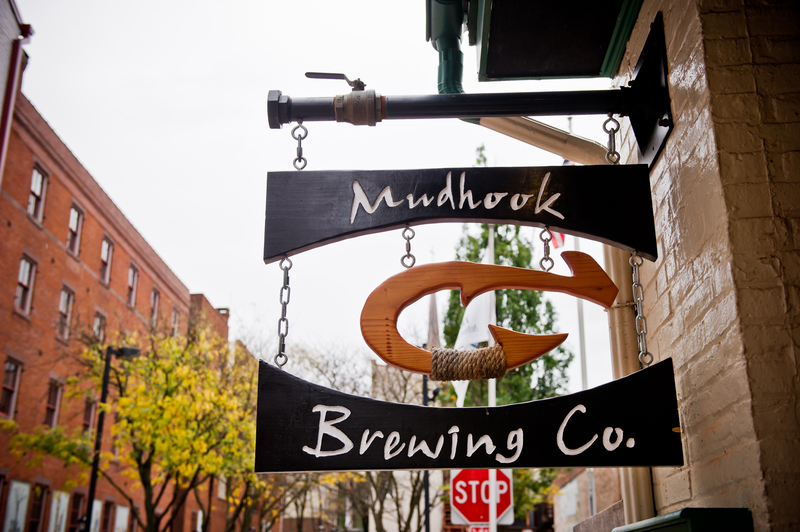 These days, the only beer barrels you&apos;ll find along Clarke Alley (now known as Clarke Avenue) are at Mudhook Brewing Company, a craft beer brewery that&apos;s one of the anchors of Downtown York. We&apos;re pretty sure they won&apos;t chase you, either. But if you&apos;re looking for a delicious chocolate hazelnut stout or all-nature soap - and you want to do some ghost-hunting - check out the brewery and the soap shop this Halloween. 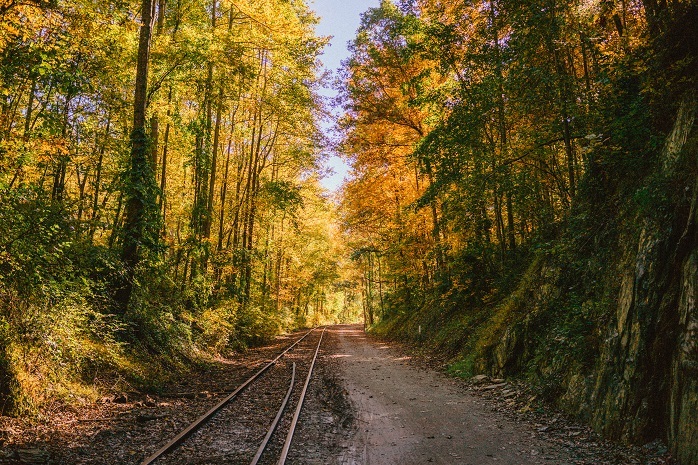 The York County Heritage Rail Trail stretches 21 miles from the Mason-Dixon Line to Downtown York, and it&apos;s a tranquil setting for jogging, walking or a biking. But if you&apos;re on the trail between Seven Valleys and York after the sun sets, you might run into the spirt of Hiram Hall, Motter says. In the 1880s, a 10-year-old Hall tried to jump a train running along the rail line. He didn&apos;t make it, and he died hours after the train ran him over. Motter writes that the ghost seen on the trail is scarred, raising the possibility it&apos;s Hall, still wandering the path today. The spirit isn&apos;t mean. That&apos;s good news if you&apos;re out and about for the upcoming Pumpkin Walk, a popular fall event on the Rail Trail. The walk runs through Seven Valleys, near the area where Hall is said to have met his sad end. 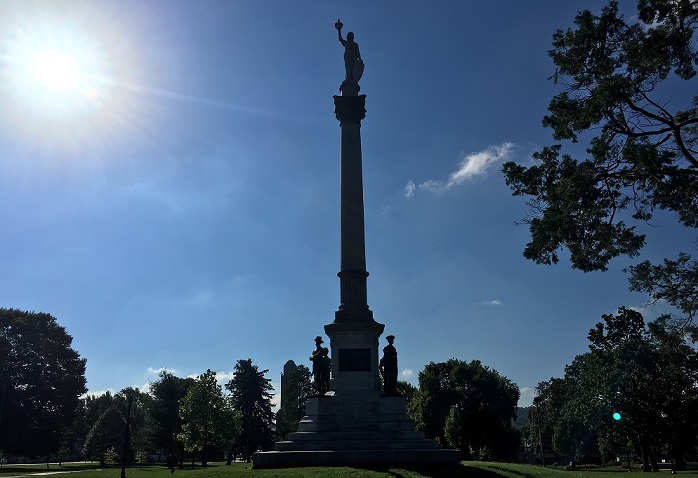 With its basketball courts, splash pad and tranquil setting, it&apos;s hard to imagine that York&apos;s beautiful Penn Park was once the location of a U.S. Army Hospital that treated 14,000 soldiers during the Civil War, many of them wounded in Gettysburg. If that isn&apos;t spooky enough, local legend says that General "Mad" Anthony Wayne executed a group of Revolutionary War soldiers there to send a message to malcontents among his ranks. Considering some have seen ghostly apparitions wandering the park at night, clad in Revolutionary War garb, it&apos;s their spirits that may very well haunt the park to this day, Motter writes in his book. It&apos;s not the only Revolutionary War haunting in York County. The former inhabitants of Camp Security, a prisoner of war camp that housed captured British soldiers, supposedly can be found at night - and they aren&apos;t very nice, Motter writes. Today, Camp Security is the site of an archaeological dig aiming to find evidence of the camp. The York Emporium bookstore in York also is home to at least three ghosts, according to owner Jim Lewin. One of them - apparently named Elmer - is always just hanging around and once showed up in a photo, Lewin said. The spirit of a woman dressed head to toe in white and a WWI doughboy who marches up and down an aisle also call the store home, he said. Paranormal investigators just visited the store recently and captured a slew of audio evidence of other-worldly happenings. But you don&apos;t need any fancy equipment to come browse the shop&apos;s books and hope for a Halloween encounter. If these stories have piqued your interest, consider checking out a ghost walk in York County. Downtown Inc. offers a Spooky York Dark Downtown History Tour that features more of York County&apos;s scary stories, or you can take a night-time hike through Raab County Park, and keep a lookout for the spirits who may have lost their life working in an old iron mine on the property. If you&apos;re brave enough to check out York County&apos;s haunted spots this Halloween, make sure to check out our lodging packages for some not-so-scary deals!